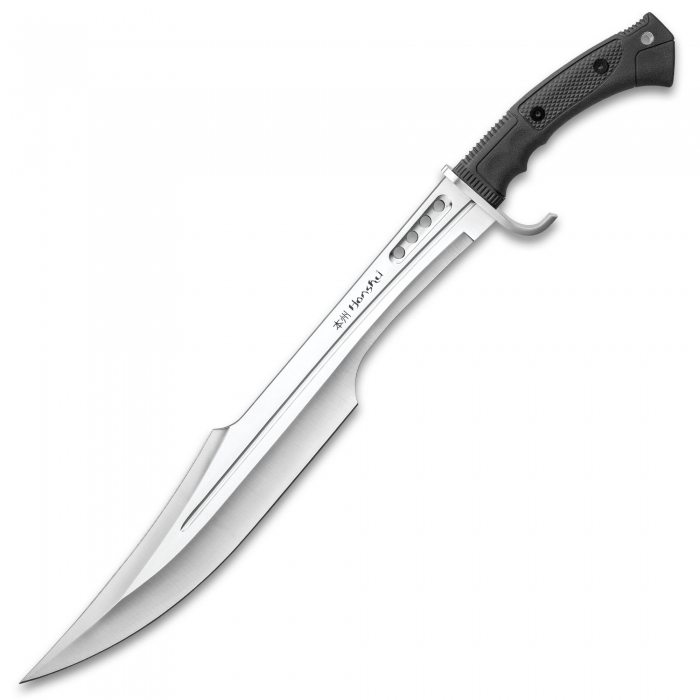 The Spartan Sword is an exceptional addition to Honshu’s rock solid tactical weapon line. 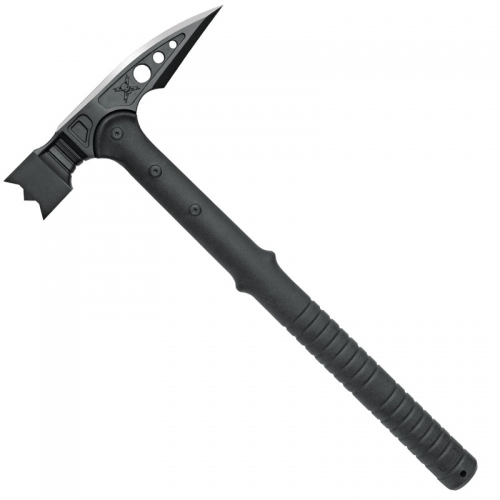 The Spartan Sword is an exceptional addition to Honshu’s rock solid tactical weapon line. Always innovative and always at the forefront of the industry, United Cutlery’s blades are meant for real world use so, their construction has a strength and quality that cannot be matched! 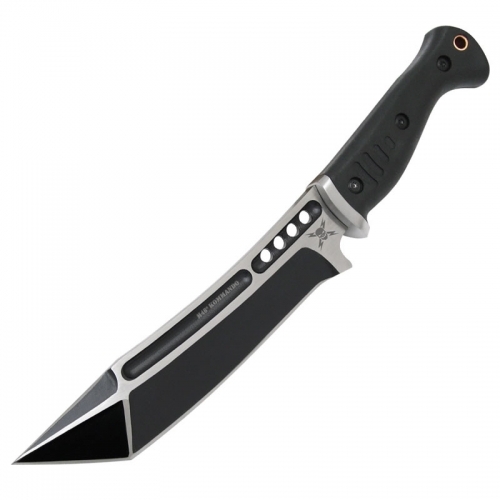 This reimagining of an ancient weapon has a 16 1/2” 7Cr13 stainless steel blade that has a phenomenally sharp blade, which features a classic blood groove and modern, weight-reducing thru-holes in the spine. 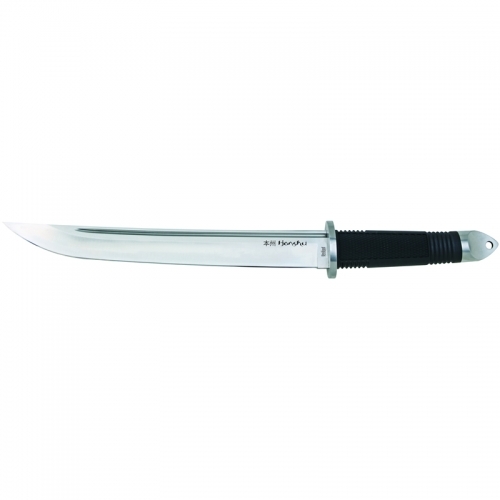 The hefty stainless steel guard is curved back toward the handle, giving your hand a sturdy buffer and assisting in firming up your grip when using the knife. The ergonomic, TPR injection handle is tough and grippy with finger grooves and a textured pattern. 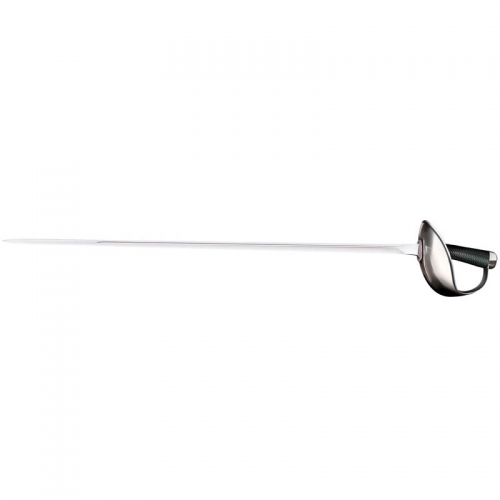 The 23” overall length Spartan Sword snaps securely into its heavy-duty leather belt sheath for storage and carry and the handle has a brass lanyard hole to give you another storage or carry option.